I've join my first blog hop! Whoo Hoo!! I am really looking forward to reading all of your inspiring blogs! This BlogHop lasts an entire week, starting from today. Please leave me a comment with your links so that I know that you are here and I will check out your lovely blog(s). 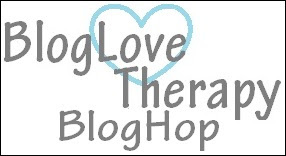 If you would like to participate in the BlogHop, it's easy, just click the Blog Love Therapy, BlogHop button above and join in! Happy Blogging, can't wait to hear from you!! Hi mishshell, thanks for stopping by my blog and leaving a comment! I am now following you as well and I am so excited to find another inspiring blog! I look forward to your posts! Thank you for following :) I followed back . Thank you so much for the add. just followed back and happy to connect with a fellow filipina :) great blog and make up tips!! Hope you can visit my blog and follow back too! Hi Joanna, thank you so much for the follow! Great blog (i'm a follower :) ) ! love it! Hi there! Thank you so much for following! I'm following you now :) great blog you have! The carrot cake looks delish!!! Yay for the blog hop. It is fun. So excited to be part of it. That coffee cake looks delicious. I know! The blog hop is fun :) So happy to connect. I'm following you back and just discovered the Charles David coupon! DANGERRRROUSSS! I was so glad to see you on Google+! :)I hope you will visit my blog sometimes. Just found your blog. :) I will be checking out your sponsors and adds each time I comment!! <3 Hope your having a beautiful day!!! so happy to connect. i'm following you too! great blog. i love to read!! but it's been taking me awhile to finish it up :) hope to stay in touch! Thank you so much for the follow. I'm following your blog too :) Love the angel on the shoulder, soooo cute! hi, there! i love blog-hopping. it's great finding new blogs and meeting new bloggers. i used to live near the bay area when i was a little girl. SF is a beautiful place to shop and live. :) you have a new follower. :) hoping to stay in touch! hi jasmine! thank you so much for the follow. i'm following your awesome blog! this is my first blog hop and it's been so great to meet everyone. i look forward to staying in touch with you..
Hope you'll check my blog out too. :) Thanks! My favorite everyday wear..blue jeans! Giveaway alert with La Catrina de LA Moda!